Computer Science and Engineering Department of Govt. 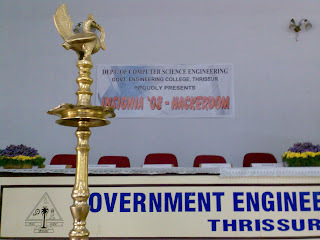 Engineering College, Thrissur brings before you Hackerdom, the third edition of its annual event Insignia, this time in association with the Free and Open Source Community of Kerala. Its not only a meeting place of hackers. It also aims at bringing in users and turning them hackers. The motto of our program is “Come a User, Return a Hacker”. Free Software has got firm grip in India and especially in Kerala. But it has always been limited to certain range of people. We aim at taking it to one and all by destroying all barriers. When there are wide doors we can open to come out, why take a small window? Hackerdom comes with a well defined theme – “USERS + DEVELOPERS = COMMUNITY”. In that sense its a community event. 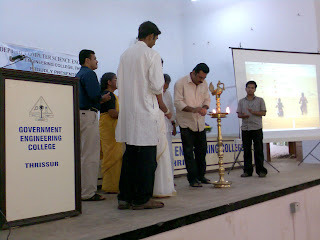 It is conducted by the Compsciz of GEC, Thrissur which makes it special. 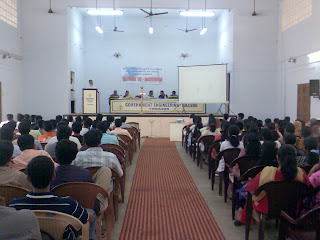 The curtain raiser for this was held last Friday, 29th August, 2008 at our college’s Seminar Hall at 10:30 AM. The chief guests for the occasion were M.L.A. Therambil Ramakrishnan and IT advisor to the Cheif Minister Mr.Joseph Mathew. The function also included the official release of the theme music (which was done by Jain of S3,CSE), trailor and the mascot Kruger. That was all for the morning session. The afternoon session was an unconference for discussing plans to take the event forward. 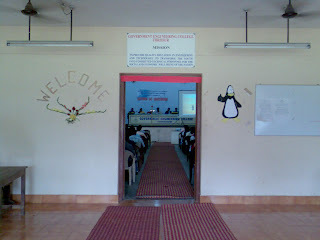 Beside the students, Mr.Joseph Mathew, HOD Prof.Manoj Kumar and several prominent Free Software workers from thrissur too took part. You are currently browsing the archives for the HACKERDOM category.